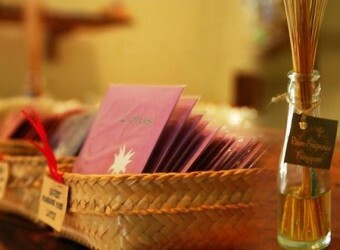 Alam Zempol in East Bali is a natural bath and aroma goods studio. They use full of Indonesian essence to create natural products by hand. The most popular item is coconut soap. Also, many people visit the shop to buy the bath salt and massagge salt which are other popular items as a souvenir. I bought popular soaps and aroma goods. I got frangipani aroma oils!! It is good all handmade. I prefer here than going to souvenir shops.